A collection of art covers and a short comic, the book was all right, entertaining. 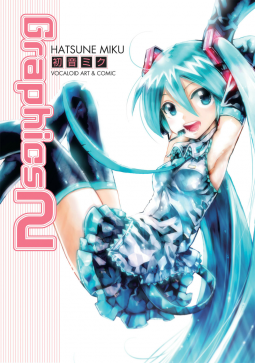 The art is your typical manga, girls in colorful outfits, with lots of frills. I would have liked if the comic would have been longer, the comic was only like 10 percent of the book and the rest was just covers. The very colorful, internet like style of the graphics made me think of Dance, Dance Revolution, so it made me laugh.